Selling property in this market can be challenging, especially if a property requires the buyer to spend money on refurbishment. We have several simple and effective marketing solutions to help clients sell or buy their home at a price that meets their expectations. “We are certain that we can really make the difference for you”. 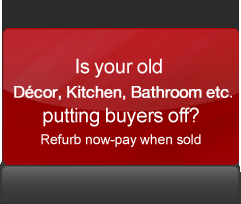 Light refurbishment required- we can pay for the works. Simply put, many properties would sell easier and for a lot more money if a few improvements could be completed. We can complete the necessary improvements at our own expense if you can settle our invoice once the sale has been completed. NO BRAINER; the client potentially makes £11,000 and the property is easier to sell. Also ask about our Home Improvement Buyer Incentives where you can offer any potential buyer a cash incentive, payable on completion of the sale to enable them to complete the improvements without having to find the cash themselves. The basic concept of this solution is focused upon enhancing a properties profile and offering the purchaser a range of fully guaranteed improvements for the agreed asking price. The Seller decides the price they are willing to accept for the property. We discuss with them what work we can do to the property to make it more appealing to the purchasers. A full schedule of works is agreed. As the property can then be advertised with the extra key features and benefits, a greater number of purchasers will be interested in the property. Purchasers can choose their own styles and designs for the property. You can be confident and budget that you will receive the purchase price agreed in advance. 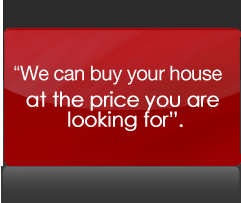 We will work with your Estate Agent on the asking price and agree the eventual sale price - you do not have to worry. We will take care of all the progressing of the sale with your Estate Agent after a sale has been agreed. The sale will not be delayed - guaranteed. Complete peace of mind. How does the buyer know what is included? The buyers are fully informed of what will be included. Everything will be documented for everyone’s peace of mind. We will make sure that you have nothing to worry about. Your dedicated Project Manager will explain everything to you in a detailed and understandable way. We will then complete a Schedule of Works that will confirm all the products and services that will be supplied and fitted. It will give details of the range, colours and styles chosen. You will receive a signed copy. We believe in using only the very best tradesmen and fitters who, like us, are passionate about providing excellent standards of workmanship and service. Whilst all of our carefully selected tradesmen are professionals with many years experience, we still insist that they must pass our quality standards assessment and customer service training before we will permit them to work on your behalf. We take particular care and attention to ensure that any work is carried out with excellence in mind and with the very least disruption. As well as being courteous and professional at all times we will also have safety, security and tidiness at the forefront of our mind. We also provide a guarantee for the quality of our workmanship. We will work with you, for you! You will be invited to inspect at key stages of the process. It is absolutely essential that we provide genuine and effective support for the buyers and the sellers during and after the process. We are proud of the level of support we offer our clients and are positive your experience will be an extremely positive one. The proprietor, Grant Kangley has been at the forefront of property marketing, sale and refurbishment of residential property for many years and has a wealth of experience and knowledge in the local housing market. He is responsible for managing large portfolios of property and has been at the forefront of property marketing for many years. 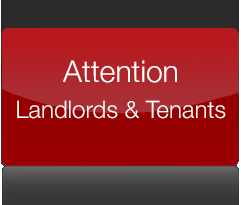 He has also successfully run an independent Estate Agency practice together with a lettings operation. He is passionate about customer satisfaction. The period between you agreeing to purchase a property and moving in is extremely important. We have expert Customer Liaison Managers who have exceptional experience of working with conveyancers, estate agents and all those in the chain to move the transaction towards a successful exchange of contracts. Their help and support is essential and is available to you throughout. We usually commence the proposed works after exchange of contracts. Our highly trained Project Managers work with our suppliers and contractors to make sure everything runs smoothly. It is our responsibility to make sure you have an exceptional service and our Project Managers play a key role in bringing everything together towards a successful completion. After completion our Post-Move-In Team will be there to give you any further guidance and support you need. When the sale of the property completes, the buyer and Seller will receive the price agreed at the outset. All we stipulate is that the parties use our recommended conveyancers and give certain instructions to their Estate Agent to work with us. Our relationship with estate agents and financial advisors continues to grow from strength to strength as we work together to get properties sold. We are not in competition with Estate Agents and Mortgage Advisors and will do what we can to introduce new business, promote them and increase their revenues. We are all aware of what we want to achieve and together we can ensure that a property is sold in the quickest possible time for the right price. We provide additional support to help obtain the mortgage offer as quickly as possible and to progress the matter through to a successful completion. Getting feedback is essential for any business if they are to continue to provide exceptional service. We seek feedback from all of our clients at different stages of the process. We aim in every case to exceed their expectations and therefore we act immediately on the rare occasion where clients express any form of dissatisfaction. Please feel free to provide us with any comments you wish to make. Property Plus now work with all estate agents and letting agents to ensure you sell faster with our unique range of advanced marketing options and solutions. Property Plus is also a home improvement and building advice centre to help you maximise your properies full potential without all the usual stress. 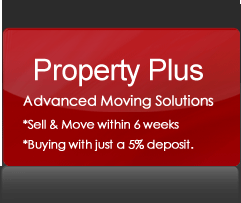 Whether you are looking for property to buy, sell quickly, let, rent or extend Property Plus can provide the solution. We help you choose right Estate agent and then negotiate the best fees, we are also letting agents and property management agents, we offer specialised sales, letting and management, local property finder, part exchange, let and rent to buy and buy to let advice to our clients, whilst driving down the costs.